Coffee House Press, 9781566892100, 96pp. In her first book of poetry since 1993's groundbreaking The Book of Medicines, Linda Hogan locates the intimate connections between all living things and uncovers the layers that both protect and disguise our affinities. and that's when the world has eyes and sees. Hogan's wisdom, gleaned from a lifelong commitment to caring for wildlife and the environment, has been deepened by the hard-won, humbling revelations of illness. With soaring imagery, clear lyrics, and entrancing rhythm, her poetry becomes a visionary instrument singing to and for humanity. 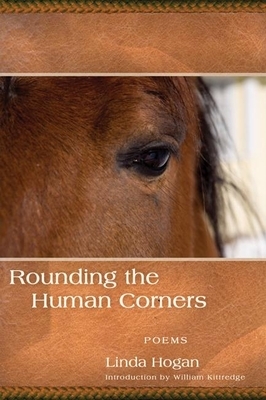 From the microscopic creatures of the sea to the powerful beauty of horses, from the beating heart of her unborn grandson to the vast, uncovered expanses of the universe, Hogan reminds us that, "Between the human and all the rest / lies only an eyelid." A Chickasaw poet, novelist, essayist, playwright, teacher, and activist, Linda Hogan has spent most of her life in Oklahoma and Colorado. A volunteer and consultant for wildlife rehabilitation and endangered species programs, Hogan has published essays for the Nature Conservancy and the Sierra Club, and her books have received numerous awards, including nominations from the Pulitzer Prize Board and National Book Critics Circle. A Chickasaw writer, teacher, and activist, Linda Hogan has spent most of her life in Oklahoma and Colorado. A volunteer and consultant for wildlife rehabilitation and endangered species programs, Hogan has published essays for the Nature Conservancy and Sierra Club. Her fiction and poetry have received numerous awards including nominations from the Pulitzer Prize Board and National Book Critics Circle. An acclaimed essayist and fiction writer of the American West, William Kittredge is the author of, most recently, The Next Rodeo: New and Selected Essays and the novel The Willow Field. He was the co-producer of the movie "A River Runs Through It" and has received numerous awards including two Pacific Northwest Bookseller's Awards.